A Utah man killed in the March 2017 terror attack on London's Westminster Bridge died after pushing his wife out of the way of the attacker's speeding vehicle, a U.K. inquest heard Monday. Kurt Cochran's wife, Melissa, said that the couple had been in London for less than three hours when they were caught up in the attack carried out by 52-year-old Khalid Masood on March 22 of last year. "We were just spending the entire day seeing everything we could see," Melissa Cochran told the inquest in a statement read by her sister. "We had one day in London so we were cramming everything in we could." She said that the couple had reached the end of the bridge and were about to walk down the steps to an embankment on the south side of the River Thames when she heard a car engine rev up and saw the front of the rented Hyundai Tucson bearing down on her as she stood on the pavement. The next thing she remembered was lying on the ground. Metrpolitan Police Detective Superintendent John Crossley told the inquest that Kurt Cochran, 54, had acted with "instinctive courage" in pushing his wife out of the vehicle's way. Another witness, Neil Hulbert, said Cochran was struck by the car and fell "head first" on the pavement. He was pronounced dead at the scene. 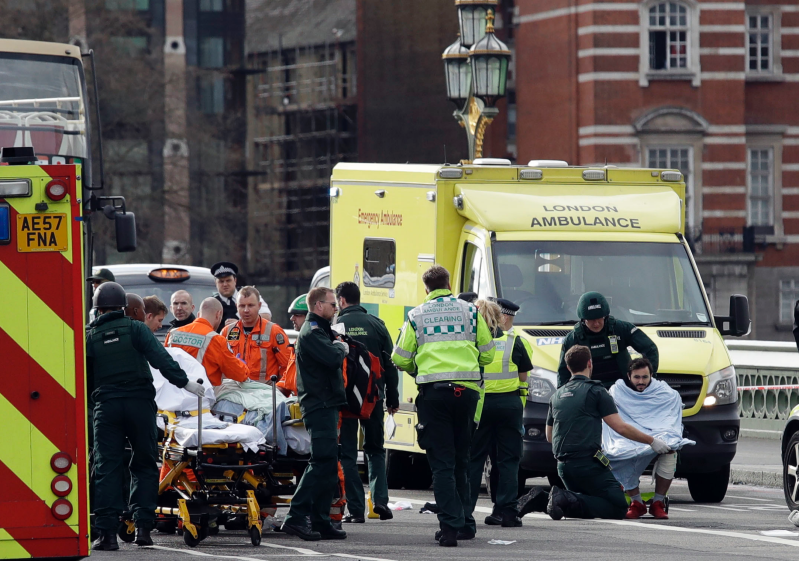 Mahsood killed three others on Westminster Bridge: Leslie Rhodes, 75, Aysha Frade, 44, and Andreea Cristea, 31. He then stabbed Police Constable Keith Palmer outside the gates of the Palace of Westminster before he was shot and killed by police. In her statement, Melissa Cochran called her husband "my best friend, my husband and my everything," she said. "I was so lucky to have had 25 wonderful years with the man of my dreams. He made me laugh every single day. I cherish every single memory we made."